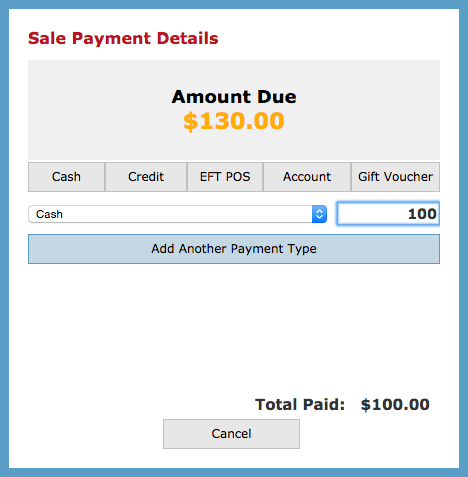 At times clients might request to pay their bill using multiple payment types. 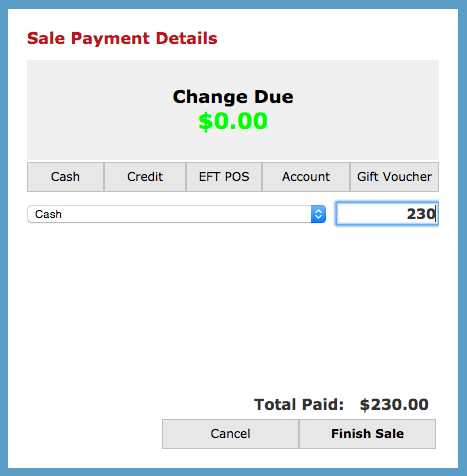 If part of the payment is being made by cash, enter in the cash portion first. 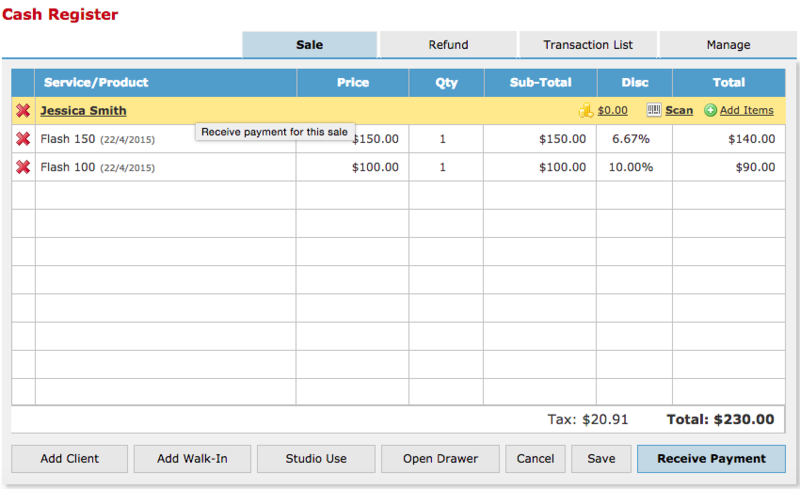 Type the Cash amount in the blue rectangle. The Add Another Payment Type button will appear because the system detects that there is still a remaining amount to be paid. Click Add Another Payment Type and choose the payment method i.e. Credit Card. 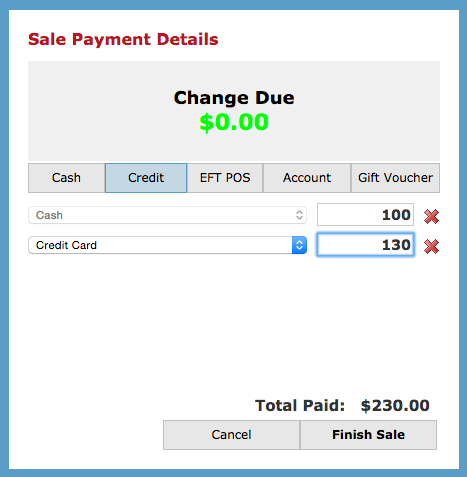 Enter the second payment type amount into the second blue rectangle.